作者: The AsiaN Editor on 24 July , 2018. 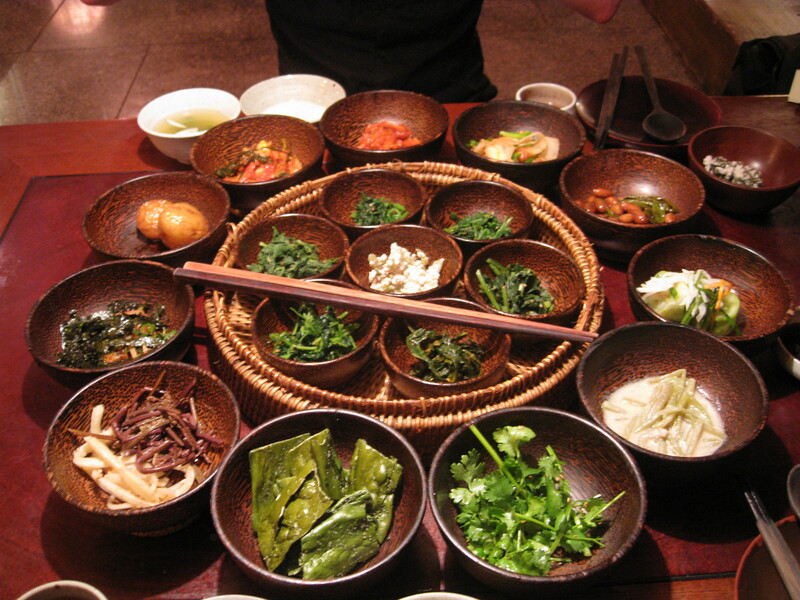 Within Korea, however, Buddhist nun Wookwan is even better known as a temple food guru. She has published two temple food cookbooks, and recently published her third — her first in English — “Wookwan’s Korean Temple Food: The Road to the Taste of Enlightenment” which is the first of its kind by a Buddhist nun introducing Korean temple food in English. Wookwan, head of Mahayeon Temple Food Cultural Center and an expert member of temple food at Cultural Corps of Korean Buddhism, graduated from Suwon Bongnyeongsa Sangha University, received her master’s degree in Buddhist studies and completed her doctoral coursework at the University of Delhi in India. She has been invited to various global culinary events to introduce Korean temple food and has held numerous lectures and programs within Korea hosted by the Cultural Corps of Korean Buddhism under the Jogye Order of Korean Buddhism since 2010. Her active overseas engagements had propelled her to write an English cookbook about temple food. “I have had many opportunities since 2010 to introduce Korean temple food in the U.S. or other countries. When I was in New York in 2010, I visited the Culinary Institute of America and noticed there weren’t any Korean cookbooks in the library. That’s when I thought it would be nice to write an introduction to temple food if I had the opportunity. Then later I was approached by a publisher in the U.S. run by a Korean who felt the need for this type of book. That’s how this project started,” Wookwan said in a phone interview with The Korea Times, Sunday. She selected some representative Korean temple food dishes and added recipes using foreign ingredients such as avocado, tomato and cauliflower to make it easier for foreigners. Some of the traditional temple foods introduced in the book include lotus leaf rice and steamed lotus root dish with soybean paste, porridge made with jujube and milk, stir-fried burdock, three-colored lotus root pancakes and noodles made with vegetables. “We use a lot of lotus in temple food. It’s symbolic. Just like a lotus flower remains clean even if it grows in the mud, we believe the core nature of a human is always set apart from the masses even if we live together. We also like to eat noodles, probably because we need gluten that we don’t get from eating meat,” Wookwan said. Korean temple food is known to be eco-friendly and vegetarian, using only ingredients that are homegrown and naturally cultivated. It does not use meat or animal products except for some usage of dairy ingredients such as milk. Temple food is also known for its mild taste from avoidance of the five pungent herbs that distract the mind — garlic, green onion, leek, chive, and onion. In the book, Wookwan starts with an introduction to Korean temple food, followed by the three principles in preparing temple food (clarity, flexibility, and compliance with the Buddha-Dharma), then goes on to the characteristics and history of temple food. The four-part cookbook covers 41 recipes including traditional recipes along with ones developed by Wookwan herself. “What I want to introduce through this book is the excellence of Korea’s fermentation culture and fermented food, the simplicity of cooking and the philosophy behind the preparation of temple food,” she said.